What does Daunte mean, details, origin, short & easy attributes? Daunte pronunciation in 20 different native languages. The name Daunte is an Italian baby name. In Italian the meaning of the name Daunte is: Enduring. The poet Dante Alighieri wrote The Divine Comedy with its graphic description of medieval Hell known as 'Dante's Inferno. Daunte is baby boy name mainly popular in Christian religion and its main origin is . Daunte name meanings is Enduring, lasting, steadfast. Other similar sounding names can be Dante. Each letter meanings in Daunte Name. Popular personalities with Daunte Name. Daunte Culpepper is a football player. 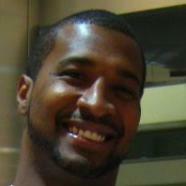 Daunte was born on January 28th, 1977 in Ocala, Florida.